There are countless millions of websites all over the world, each offering a unique take on a topic, a product to fill a niche, or a service that users need. Many websites are built from scratch, while others use one of many content management systems to generate a professional look in less time. Of all the different types of websites in the world and the systems that are used to make and maintain them, WordPress is by far the most popular solution. If you are currently using a different solution, then continue reading to find out why you should make the switch to WordPress today. Compared to many different content management systems – let alone standalone developer code – WordPress is a breeze to use. While some platforms, such as Drupal, may offer a plethora of customizations and features, WordPress manages to do the same and via an interface that is much easier to use. Almost anyone can login to WordPress and begin to get the feel of the platform in mere minutes. Most websites understand that they must be pinging for SEO benefits and results these days in order to be seen. WordPress is naturally designed to make SEO a lot easier. Its basic interface includes all of the fields and features that you’ll need to optimize each page of content and each file, with the ability to add on countless different plug-ins that can further said goal. If you are concerned with the viability of your SEO strategy and are not using WordPress currently, then you’ll definitely want to check out what this platform can do for you. With more websites using WordPress than any other solution in the world, it should be no surprise that it has the largest plugin and theme library imaginable. Whether you want to setup a store, start a blog, build a fully-featured website for a hobby or do virtually anything else, you will have access to countless plugins that can help you design the perfect website. Likewise, a ton of themes are available (for free and for a price, depending) that can help you further customize the website to look exactly as you desire. Have a question about how something works or why something isn’t working? It’s almost certain that someone has already asked – and someone else has already answered. With a fully-supported knowledge base, users forum, guides and other forms of support, you’ll be able to figure out the best way to correct or implement something; from pinging for SEO to building a store, the support available for WordPress is unprecedented. These four reasons alone should be enough to convince you to use WordPress, if you are using a different solution currently. The truth is that there are many other reasons why millions of people rely on WordPress for their website and blogging needs. 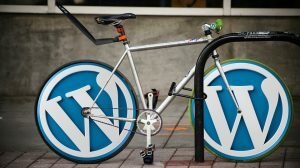 If you are already using WordPress, then please share your experiences with us below so that others can understand its flexibility and power. « What Facebook Ad Campaign Objectives Are Important?